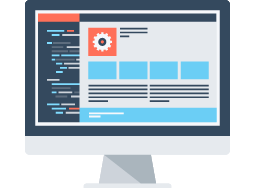 The SiteDesigner Website Builder technology allows you to create dynamic and professional websites with no technical expertise or coding. The SiteDesigner Website Builder comes fully hosted giving you the ability to create, maintain and host your website, all from one single package. This excellent software will enable you to create a website quickly and easily without any coding experience. Lots of ready to use templates are available, allowing you to develop them and make them your own design. All elements of your site can be customised to suit your requirements with the easy to use drag and drop interface. SiteDesigner Website Builder comes packed with excellent features. Create a website using the easy-to-use drag and drop interface. You can easily place text, images, maps, video anywhere on the webpage. You can also change the page’s dimensions and easily delete something with just a few clicks. The drag and drop interface features allow you to edit your site, you can also hand code the HTML yourself. The SiteDesigner Website Builder has been designed to be as advanced as you need it to be without any limits. There are a wide range of widgets available to add to your website, these include Facebook, Twitter, Google Checkout, Google Maps. Choose the widgets you want to use, then drag and drop into your website page. The SiteDesigner software builds websites using HTML & CSS, so there is no Flash. Websites built with the SiteDesigner software work on all devices, including mobile phones and are easily indexed in Google. The SiteDesigner website builder allows you to make as many changes as you wish to your website and update it online at anytime. Please take a look at our SiteDesigner Demo and try before you make a purchase. Does SiteDesigner include web hosting? Yes, both SiteDesigner packages include web hosting. Yes, both SiteDesigner packages come with Email. The Plus package comes with 5 mailboxes and Pro comes with 100 mailboxes. Yes, you will need a domain name. Search and acquire your domain right here. You can add SiteDesigner as you proceed. Can I upgrade from SiteBuilder Plus to Pro? Yes, you can upgrade SiteDesigner Plus to Pro at any time without losing any data.